CTM USA American Eagle Belt Buckle. 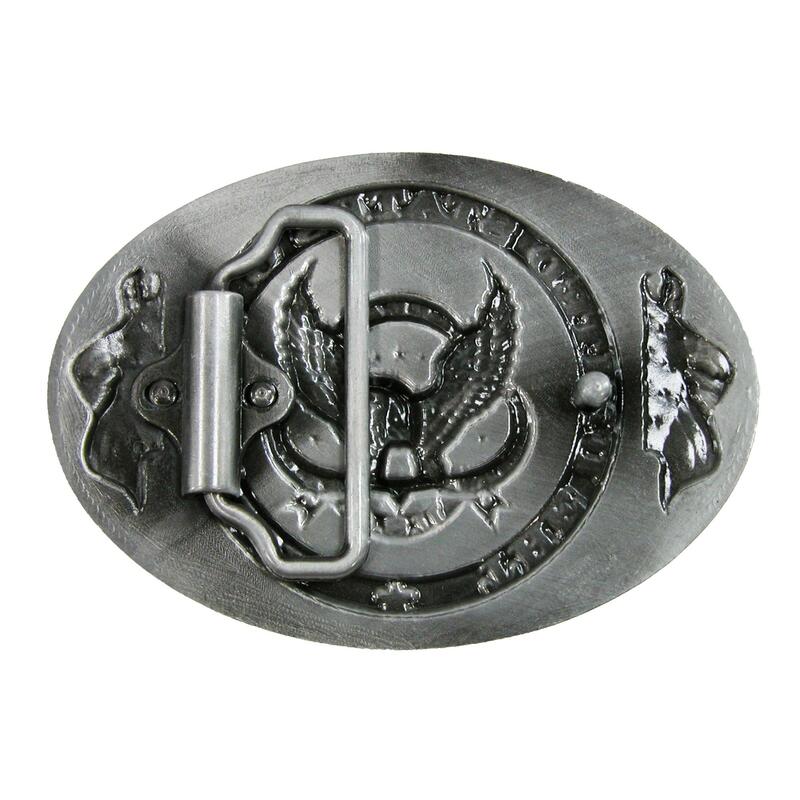 With a sturdy metal loop and prong on the back, this removable plaque buckle fits belts up to 1 5/8 inches in width. Patriotic colors and motif with a United States of America seal with eagle, framed with flags. Walmart marketplace seller BeltOutlet specializes in sale-priced clothing and travel accessories for men, women and children. We carry quality belts, wallets, headwear, cold weather accessories including Belt Buckles for Men. Many items have reduced or rollback prices and most orders ship within one business day.